This summer, The Mann Center will host the first Summer Block Party presented by 105.3 WDAS-FM. 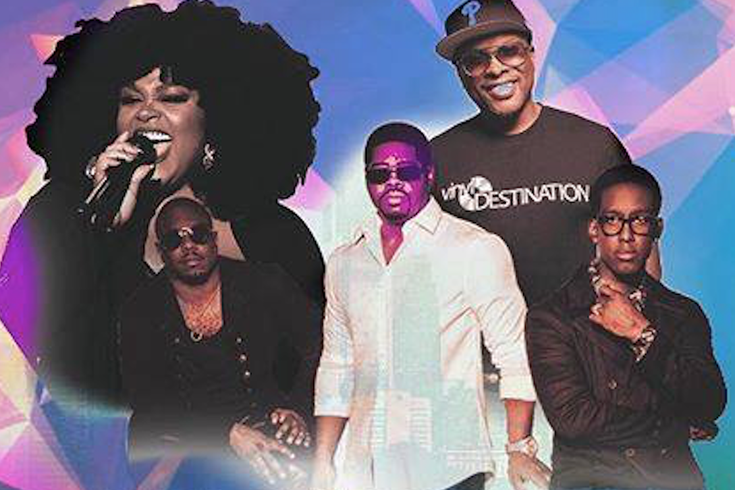 Jill Scott, Boyz II Men and DJ Jazzy Jeff – all from Philly – will perform at the outdoor concert venue on Saturday, June 30 at 7 p.m. Tickets are on sale now. Jill Scott began her career collaborating with musical icons The Roots, Will Smith and Common in the late '90s. She is a three-time Grammy Award-winning singer-songwriter. DJ Jazzy Jeff also collaborated with Will Smith. He first became well-known as part of the hip-hop duo DJ Jazzy Jeff & The Fresh Prince in the late '80s. Award-winning R&B trio Boyz II Men were honored in Philadelphia last summer, when a section of Broad Street was renamed "Boyz II Men Boulevard." Get your tickets to the first annual Summer Block Party now! Saturday, June 30 at 7 p.m.